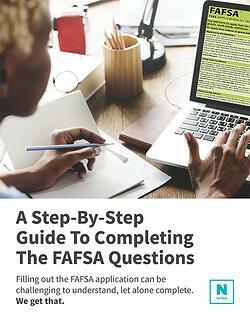 This question asks what your current marital status is the day of filing the FAFSA as a way to determine if any future, relevant questions within the application may be necessary to answer. Keep in mind that if you are married, all figures you are to report must include your spouse’s financial information. If you happen to get married after filing the FAFSA, you will want to let your financial aid office know. To answer, this question, you will select your marital status from the drop down menu at the time of completing the FAFSA as "I am single," "I am married/remarried," "I am separated," "I am divorced or widowed."